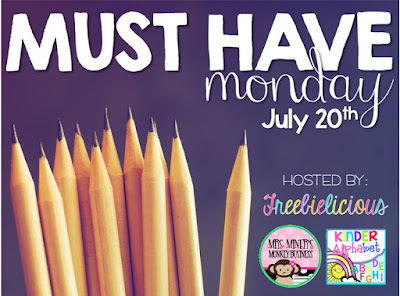 debbie kay designs: Must Have Monday... on a Tuesday! I'm doing my first link up - how fun! 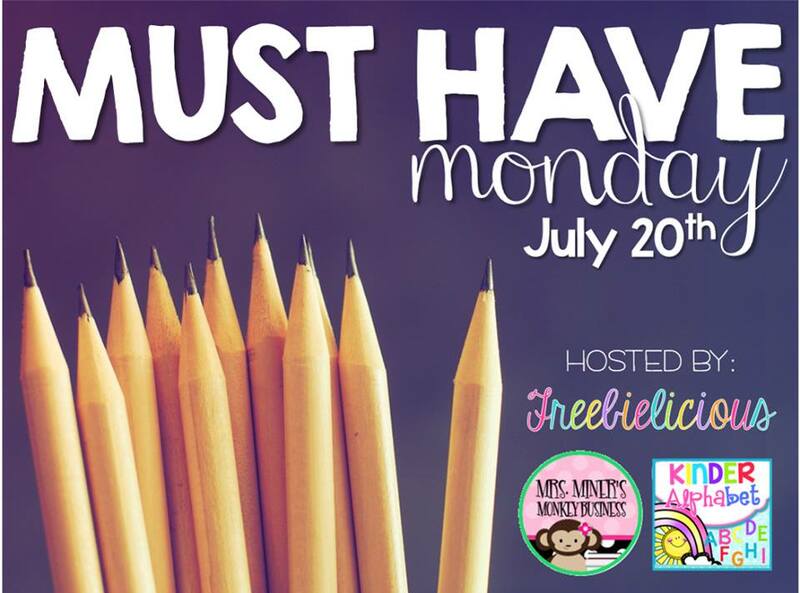 I ran across this linky party from Freebielicious today and it looked like so much fun, so I'm joining in! Only thing is, I'm a day late and a dollar short. So, here's my Must Have Monday... on a Tuesday! Do you all use this? Have you heard of it/seen it? I started using it 3 years ago and it has been life-changing! These aren't my plans, just screen shots found online, but you get the picture. 1. I just copied my entire lesson plans from last year onto this year with a click of a button. What?!?! This is such a huge time saver. I can simply go in and make any necessary changes based on curriculum changes, changes in the calendar, etc. 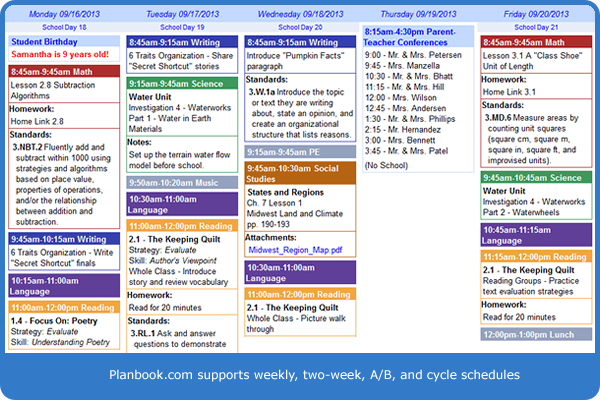 But the basic curriculum mapping is all done including all the detailed lesson plans for each day. What?! You need more reasons? Okay, but that was a big one for me! 2. It's super simple to use. Even if you're not a techy teacher. 3. You can "bump" a lesson back a day and it will just move all subsequent plans back a day for any given subject. Or, you can extend a lesson into the next day. In other words, no bothersome cutting and pasting. Who has time for that? Not me. 4. You can look up standards by state and subject and simply click on them to fill them in, rather than type them out manually. You can also set it to view the standards within your plans or just list the standard number. 5. You can print out plans by day, week, month, or by subject. You can also save them as a PDF, which is what I do when I need to submit them to my principal. 6. You can change the colors! That's so important, isn't it? Ha! We do like our pretty, don't we? You can also change the font. 7. You can attach pictures and files right into your lesson, then click on them to open. 8. 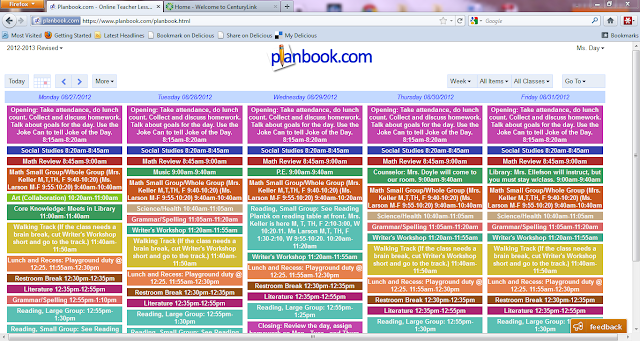 You can keep your planbook open on your school computer, or iPad, for reference, rather than printing out plans (i.e. wasting paper). You know, for those times when the administrator walks in and wants to see those plans out. Ahem. 9. You can set it to display as much detail as you want, or you can collapse it to just show headings for each lesson/subject. You can show homework, notes, standards, etc. or hide them from view to make it look more concise. It just depends on how much you want to view at one time.